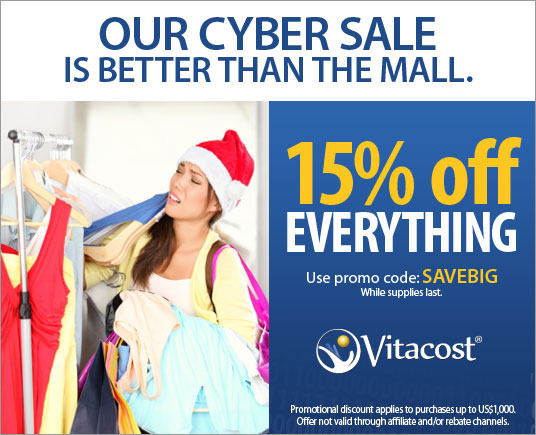 With Vitacost.com, you don’t have to choose between stores that sell products you don’t really want at super-low prices, and stores that sell the better health and wellness products you want at crazy-high prices. We offer over 2,000 of the top, most-trusted natural brands, diet foods and healthy living essentials-the very best nutritional supplements, whole foods and sports nutrition-at discount prices, up to 50% off. And we’ll deliver them right to your door for FREE if your order totals $49 or more. Otherwise, shipping is just a small, flat-rate fee of $4.99, no matter how big the box.